BGI has accomplished many major projects including the first Asian Genome Project (Yanhuang Project), the Diabetes-associated gene and mutation research project (LUCAMP), Ancient human genome, etc. BGI and the scientific research alliance from nine Danish research institutes launched the LUCAMP program. The study of diabetes-associated genes and mutations is one of the sub-projects. The LUCAMP program aims to advance the process of clinical outcomes through a series of scientific and clinical studies. In recent years, genome-wide association analysis of complex diseases using whole-genome microarray technology has made important progress, targeting obesity, type 2 diabetes, and myocardial infarction. However, the 19 metabolic-related gene loci found so far can only explain 10% of the genetic factors of these diseases. Moreover, the loci on these arrays contain only 80% of the common variants in the genome (minor allele frequencies > 5%), and for rare variants the coverage is lower, about 1%. Although the latest genomic arrays already contain about 2 million SNPs on the genome, there are still many genomic variants that cannot be detected. In 2006, there were many technological breakthroughs in the field of DNA sequencing, and the daily production data reached the Gbp level, and the cost dropped significantly. 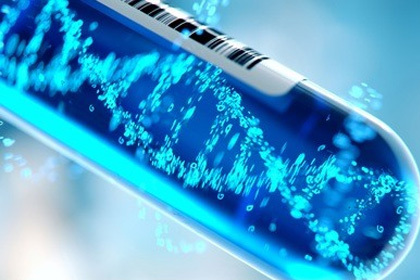 It provides an opportunity to identify new genetic variants associated with complex diseases, making it possible to find additional 90% risk sites associated with type 2 diabetes and related metabolic and cardiovascular diseases. (2) examine the difference in frequency of these mutations between the patient group and the control group. The 1536 SNP loci that have been found to be the most significant in the disease control group will be validated by genotyping. Yingrui Li, Nicolas Vinckenbosch, Geng Tian,et al.Resequencing of 200 human exomes identifies an excess of low-frequency non-synonymous coding variants.Nat Genet,2010,42(11):969-72.